APF-SSB to boost up cooperation for border security - Integration Through Media ....! 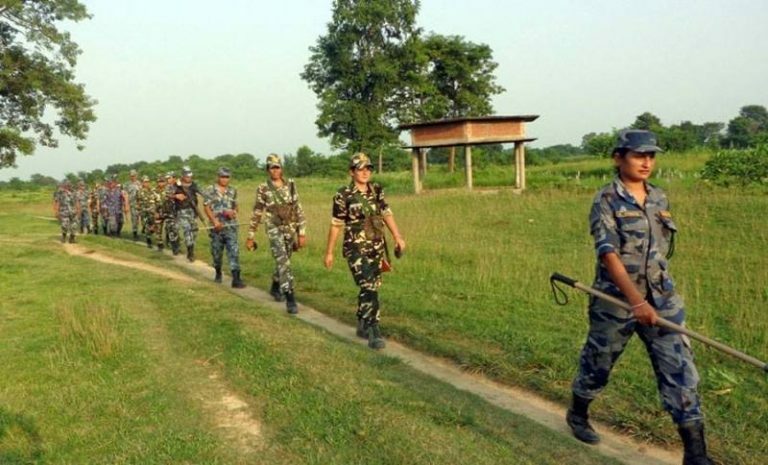 KATHMANDU: The third coordination meeting between the Armed Police Force, Nepal and Sashastra Seema Bal, India has decided to put in place further measures for enhancing coordination and cooperation between the two border security forces. The meeting concluded today in New Delhi. It reviewed security scenario along the Nepal-India border. Both the sides agreed to hold consultations on a routine basis at all levels – from leadership to Border Observation Post on the ground, stated a press release issued by the Embassy of Nepal in New Delhi on Friday. The meeting also agreed to launch joint patrol along the border to curb possible cross-border crimes including human and drugs trafficking, goods and arms smuggling. Besides, the security forces also agreed to focus more on imparting training to respective personnel on the theme of better people-friendly behaviour. In order to facilitate movement of people during upcoming festive season, APF and SSB decided to set up Help Desks in major border checkpoints, reads the release. In addition, the meeting agreed to augment mutual exchange of training and exposure visits. Nepali delegation to the meeting was led by Inspector General, APF, Shailendra Khanal and included officials from APF, Foreign and Home Ministries. Likewise, the Indian delegation was led by Director General, SSB, Rajni Kant Mishra and included officials from SSB, External Affairs and Home Ministries. The meeting took place on 7-10 August 2018. The next coronation meeting will be held in Nepal in a year’s time.